Egypt can be a rough place to visit. There's pollution, crazy traffic, lots of hassle, and much much more that can turn your trip of a lifetime into a week full of stress and aggravation if you don't plan well. Comfortable accommodations can especially be a real challenge for visitors, since what we would consider a two or three-star hotel in the United States and Europe is very often called a four or five-star hotel in the developing world. 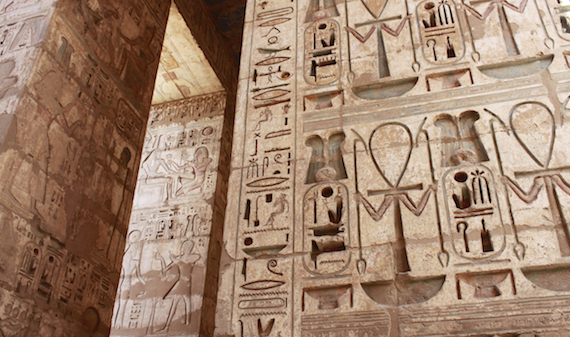 However, a trip to Egypt for most is truly the trip of a lifetime. It's at or near the top of virtually everyone's bucket list. And as someone who has stayed in many hotels in Egypt and traveled all over the country many times, my first recommendation for travelers to Egypt is always to start your planning by investing in a top quality hotel for your stay there. Believe me - it's totally worth it in time, convenience, and reduced stress. After long rough days exploring the Pyramids, museums, markets, and tons of other sites and experiences to be had in Cairo and beyond, you'll thoroughly appreciate coming back to your luxurious oasis to unwind and recharge. In my more than two dozen trips to Egypt over the past 13 years, I've stayed in all of Cairo's major name-brand international hotels, and by far my favorite place to stay when I'm taking guests to Egypt for the first time is the Four Seasons. There are actually two Four Seasons properties in Greater Cairo, and each has its own character and advantages for different types of travelers. 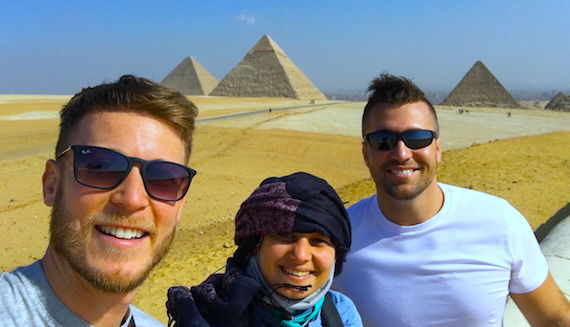 After three years away from Egypt, I recently returned with a friend to show him around this amazing country I've come to love so much. And knowing how aggressive our touring itinerary was going to be, I made sure to book our first few nights in Cairo at the Four Seasons Nile Plaza and our last few nights, after we returned from a quick overnight trip down to Luxor, at the Four Seasons First Residence. At only 12 years old, the Four Seasons Nile Plaza is still Cairo's newest and most luxurious hotel property. Unlike many other hotels in this ancient city that are renovated and remodeled versions of older buildings and properties, the Four Seasons Nile Plaza was built from the ground up specifically to be a fabulously luxurious and modern hotel. Situated along the Nile in the heart of downtown Cairo, on clear days you can actually catch a glimpse of the Pyramids of Giza out in the distance from the rooms on the river-view side of the hotel. 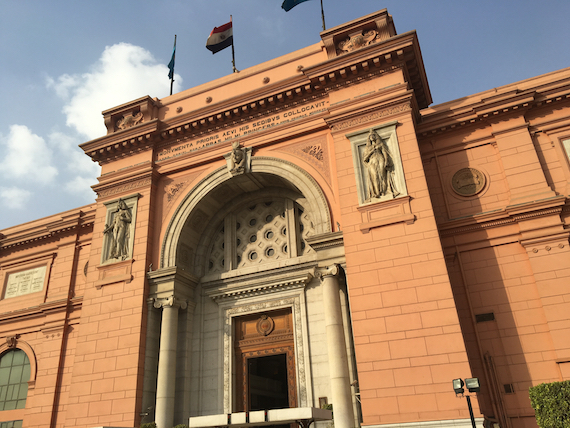 Many of Cairo's main downtown attractions are easily walkable, including the Egyptian Museum, home to most of the unbelievable treasures that were excavated from King Tut's tomb in 1922. Tahrir Square, the site of the famous protests that brought about the Egyptian Revolution, and Abdeen Palace, a beautiful but decaying former residence of Egypt's last king, are also within walking distance. But aside from what's outside and nearby the hotel, it's really what's inside that makes the Four Seasons Nile Plaza such a special place to stay when visiting Egypt. 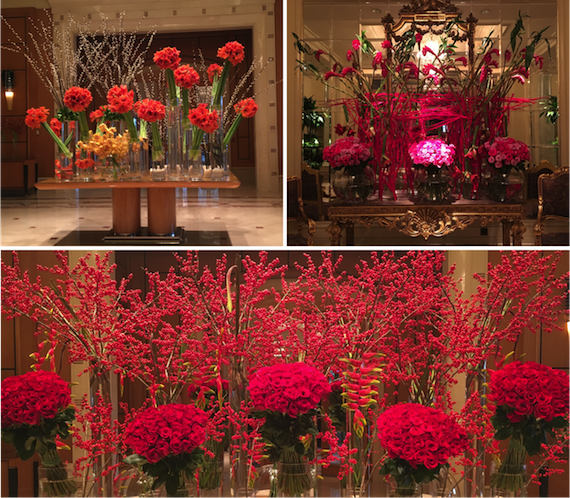 Immediately upon walking in and being greeted by their famously oversized floral arrangements, you really feel like you've stepped into a true seven-star hotel. If you've ever been to the world's only "allegedly" seven-star hotel in Dubai, you'll recall that it actually resembles a tacky movie set at Universal Studios or MGM. But inside the Four Seasons, you get a sense of true, genuine class and sophistication that automatically relaxes you, puts your mind at ease, and melts away the stresses of the day and the rigors of touring around a country like Egypt. 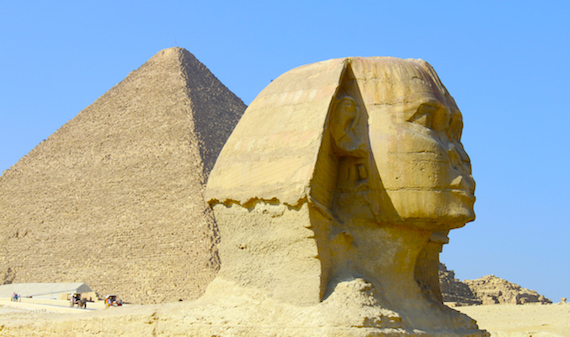 When you're ready to strike out and start exploring what you came to Egypt to see and explore, take my advice and hire a guide and driver before you leave the hotel. You'll be hassled relentlessly if you just try to taxi out to the Pyramids and you are guaranteed to get ripped off in multiple ways if you're on your own. 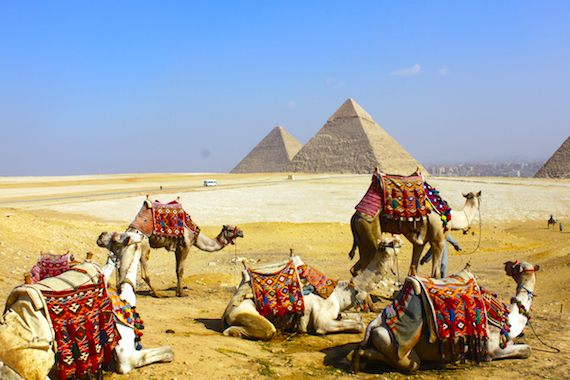 Even with as many times as I've taken friends and guests out to Giza to visit the Pyramids, I still get an Egyptian guide and driver to avoid the hassle and to enrich the experience. I would recommend booking both through the hotel concierge. If you try to find one online, chances are it's going to to be hit or miss. And you never want to pick one up off of the street, no matter how relentless they are or how honest they may come across. Even the other major hotels in Cairo will stick you you with one of the large but still shoddy local mass-tourism companies. But the Four Season is the only hotel I've seen there that uses truly first-rate service providers. Egypt is too important of a destination and too valuable a journey to have it soured by tourism predators. This, like with your accommodations, is 100 percent worth the investment of a little extra money to ensure that your trip of a lifetime is truly magical and worthwhile. On my most recent visit, my traveling companion and I broke up our stay in Cairo with a two-day, one-night trip down to Luxor to visit the temples to the gods and tombs of the pharaohs that dot the landscape around this ancient capital further south. There is an overnight train to Luxor from Cairo, but again take my advice and avoid it if you can. Even though they have sleeper cars on the train, they're uncomfortable and slow and you won't arrive refreshed. Once we were finished taking in the ancient sites in Luxor, we flew back to Cairo and checked into the Four Seasons First Residence for the last leg of our stay. This Four Seasons, located diagonally just across the Nile from the other Four Seasons, is technically in the city and governate of Giza just across the river from central Cairo, but it's still right in the heart of what most people think of as downtown Cairo. All of the same downtown sites are still just a very short and cheap taxi ride away, but local transportation in Egypt is so inexpensive that you could honestly hire a nice black sedan and a professional driver from the hotel for about the same rate that you'd pay for a 20-minute taxi ride in a major city back home in the U.S. and Europe. If you do decide to hail a taxi, know that there are two types of taxis you'll find roaming the streets. Cairo is one of the few places where taxis are perhaps more ubiquitous than in New York City, but check out this quick primer on the differences between the two types of Cairo taxis over at EgyptTravelBlog.com (Taking the Right Type of Taxi in Cairo). Whereas the Four Seasons Nile Plaza is more glitzy and busy, the Four Season First Residence across the Nile has a more calm and subdued elegance about it. It's a smaller property, which gives it more of a boutique hotel feel. And it also has a 24-hour casino, which only foreigners are allowed to patronize. You'll want to make sure you have or can withdraw U.S. dollars if you're going to play here, though, as they don't accept or use local currency in the few casinos in Egypt. Whether you only have a few days in Cairo or you're in Egypt for extended adventures and explorations, trust me when I tell you that investing in a nice, comfortable hotel is an essential ingredient to getting the most out of your experience there. Save the budget hotel thing for Europe and North America. The developing world is not where you want to take a chance on a Bates Motel experience. You deserve to thoroughly enjoy and soak up every thrilling moment of your trip to a wonderful and fascinating place like Egypt. So live it up, and enjoy exploring 7,000 years of remarkably preserved history while indulging in modern luxurious comfort that would make even the Pharaohs proud and envious.